If you could find a good nickname for Satan, what would it be? Of course, it’s “the deceiver”. On the other hand how did Jesus describe Himself? John 14:6 records His words saying, “I am the way, the truth, and the life.” He didn’t just say He knew the way, spoke the truth and lived the life, He said, “I AM.” This statement left no doubt as to who He knew Himself to be. He was the embodiment of “the way, the truth and the life”. So, how do we live our lives and differentiate between the deceptions of Satan which surround us daily and the truth in which we know God wants us to live? Participating in a culture where there are few if any boundaries for behavior encourages these lies. 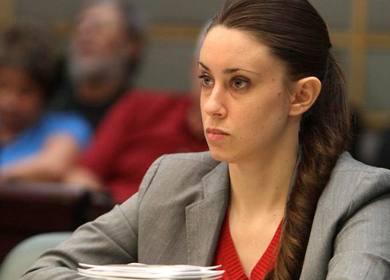 For the better part of June and July, the News blasted us with highlights of the Casey Anthony trial in which this 25 year-old woman was accused of murdering her two year old daughter. We watched as the lives of her family, friends and even innocent bystanders were spattered with the lies of a young woman who either cannot, or will not look at her life as it really is. At some point in her life she became a purveyor of deception in the worst way. It is out of this deception that Casey’s beautiful child somehow lost her life. Who won here? Of course, it was Satan, the great deceiver, himself. Remember the analogy of the room without light, existent in a black and impenetrable darkness? If you entered that room and shut and sealed the door, you would not even be able to see your hand in front of your face. But, if you had brought a flashlight in with you and switched it on, this small beam of light would reveal the corners, the floor, the ceiling, the furnishings and the other hidden things in that room – the truth about that room. That’s how Jesus works in us. Because of the deception we’ve been buying into for most of our lives to one extent or another, our lives are stained with the black soot of deceit and misrepresentations that are the result of believing them just as a chimney is coated with soot from the smoke that climbs through it. We saw this clearly in the Anthony trial. Casey’s web of lies has covered up the circumstances of her daughter’s death. But it seems that the deceiver had lured her long before this into a lifestyle that trapped her into the need to deceive her parents and others in order to hide this from them. Who fathered her child? Why didn’t her brother know about the pregnancy? Had she really been molested as a child? What happened that day when her parents last saw Caylee? These and many other unanswered and, in some cases, crucial questions are the soot that covered up the light of truth in the rooms of her mind, layer after layer. When Jesus begins to shine the light of His truth into these dark places of our soul, “The Truth” begins to reveal the truth…how it really is. Just as the attorneys for the prosecution attempted to reveal the truth about what had happened to little Caylee Marie Anthony, Jesus reveals the truth about our lives. He doesn’t just try; He does, because He is “The Truth”. What would have happened in this case if Casey had faced the truth, explained how this tragedy happened, accepted emotional help, repented and allowed God to forgive and heal her? How would this have helped to bring a very broken family also into the light? How does that happen? In actuality, it’s a spiritual thing. Jesus thought of everything. Before He left the disciples to sacrifice His life to pay the price for our sinful adherence to deception, He tried to comfort them and allay their fears of the impending doom they sensed. So it must have given them some relief when He said, “… when the Helper comes, whom I will send to you from the Father, the Spirit of truth… and …when He , the Spirit of truth, comes He will guide you into all truth (John 15:26, 16:13). And, thank God, the Spirit of truth is still with us. He is the One who makes sense out of what the Lord Jesus said to us in those parables. He is the One who gives us glimpses of this Man who loves us so much, that He was willing to leave the glory and majesty of His heavenly home, and become like us just so that we could actually see what truth looks like. And did we get an eyeful! He was all about those pesky unseen riches of the spirit… “the kingdom of God”, He called it. Earthly wealth and the search for sensual pleasure did not figure in His experience. It’s the kingdom of God, revealed to us by the Holy Spirit, the Spirit of Truth, that He came to share with us. When we read Paul’s words, the epistles, that were written to explain the truths that he had received from this Spirit of truth, we begin to put some of this together and see the incredibly awesome plan that the Father, the Son, and the Spirit had for this world, and more specifically for the creation about which He said, “it is good.” A man created in God’s image, made out of the dust! A woman made out of man to bring completion to this most magnificent of creatures! An earth dressed in such extravagant beauty and variety, filled with the treasures of nature given to them for their pleasure! The authority to be the caretakers of this earth, and to be fruitful and multiply and share these wonders with families…the next gift given by a doting, loving God! And then there was free will; an ability to choose to love their holy companion and obey Him…or not! Of course, we know the rest of the story. It was our enemy, Satan, that deceived them, and they chose to believe him. And that sin has ripped our freedom to shreds, just as it has for the Anthony family. Without Jesus, as the truth in our lives, we become slaves to the lies, robbed of the freedom to make the right choices. God’s intention has always been to bless us with the riches of the kingdom of God. And if the original Garden of Eden was any hint of what that might be like, we are and will be totally rich. It required Jesus’ life as our redemption – to get us back to the original plan. But what of this world, the one that we live in right now? Where is that kingdom of God on earth that we pray for in the Lord’s Prayer? If we believe Jesus when He said that He is the way and the life, in addition to the truth, then we must again allow the light of the Spirit of truth to shine into our shoddy and hopelessly irrelevant lives where hidden motives, self-centeredness, pride, jealousy, fear, addiction (to name only a few of our hidden sins) are nurtured by the deceptions of Satan. We must make the choice. Do we really want to know the truth? Do we really want “The Truth” to rule in our lives? Will we dare to ask the Holy Spirit to bring the double edged sword of the Word into our lives, and spit in the eye of the devil and his lies? Or will we, like Casey Anthony, refuse? That is our choice. God in His great wisdom has never removed our freedom. He wants a people who will love Him by choice, a bride, an eternal companion to continue with the Garden of Eden plan, the kingdom of God. Not only do we need to see our own selves through the prism of truth, we begin to see the world through the eyes of Truth (His plan for not only us, but those around us), and we begin to have a vital and fulfilling life. This is the abundant life Jesus came to give us. Instead of the riches of this world, we become invaluable to the world. When we pray for our country with the truth of the Word on our lips and not our own reasoning, we know God will answer. When we serve others instead of expecting them to meet our needs and expectations, we are giving forth the truth of Jesus. When we pray for others like Casey and the Anthony family to know “The Truth” and to have a heart open to receive it (that’s vitally important), we know that it is God’s will also. When we ask God to see if there be any wicked way in me (Ps 139:24), and then listen with an open heart, we will walk in the kingdom of God.